Brake dust, tar spots, salt, and general road grime all removed. Paintwork polished and protected with wax or sealant. Please note: Exterior car valeting prices are based on a cars in average condition and reflect the time taken. 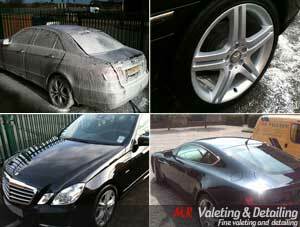 Valeting heavily soiled vehicles, removals of pets’ hair, vomit removal, paint spots, flooding etc may take longer, and as a result may incur further costs. We reserve the right to amend all prices on inspection.